A conference ‘Cybersecurity of Poland’, organized by the Casimir Pulaski Foundation, was held on the 30th of June 2014. During this event, 4 different panels took place. The opening session was commenced by the Foundation president Zbigniew Pisarski alongside the undersecretary of state in the Ministry of Administration and Digitalization – Roman Dmowski; the Ministry of National Defense plenipotentiary for cybersecurity – General Krzysztof Bondaryk; and the European Commission representative – Jakub Boratyński. Representatives of the public administration debated about the role of the nongovernmental sector in creating a unit ready to fight against cybernetic crime. Other topics of the discussion included the Network & Information Security directive as well as the execution of the cybersecurity strategy as one of Ministry of National Defence priorities. 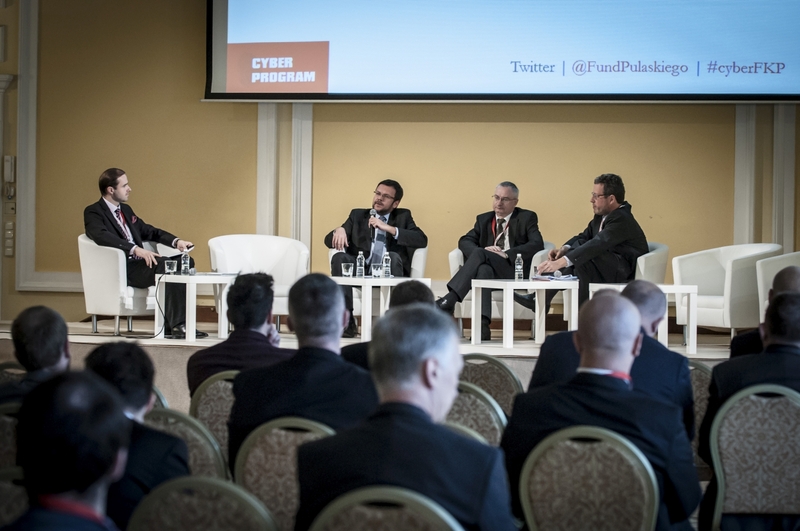 The next panel focused on issues associated with strategic challenges laying ahead of the Polish cybersecurity. During this panel, speakers made an effort to clearly define concepts in the ‘cyber field’. A unanimous agreement was reached that development paths of the Polish cyber strategy should be further specified and measurable actions should be taken with decisiveness. The overarching theme of the third panel included legal conditions – a subject that was touched on by Jakub Sękowski from the Ministry of Justice and dr Wojciech Rafał Wiewiórkowski, the General Inspector of Personal Data Protection. Sękowski talked about high costs incurred by the Polish state due to non-effective protection of the country’s cyberspace. Wiewiórkowski spoke about an acceptable level of anonymity in the effort to secure protection of data communication network users. The last panel – a technological one, where the conference partners (Safe Computing, CSISCO Systems, Trecom and ComCERT) presented means of support and protection of the data communication network – was met with great interest from the public. Polish successes in international competitions devoted to cybersecurity were also mentioned in this section of the conference. Experts also touched on the subjects of automatics as a source of problems in the security structure of industrial companies. Taking into consideration recent successes of Polish IT teams on the international scene, one could say that Poland has qualified staff capable of providing the state with a high level of cybersecurity. However, there is a lack of an intensive cooperation between the state and the private sector and a deficiency of legislative changes that should be implemented as soon as possible.